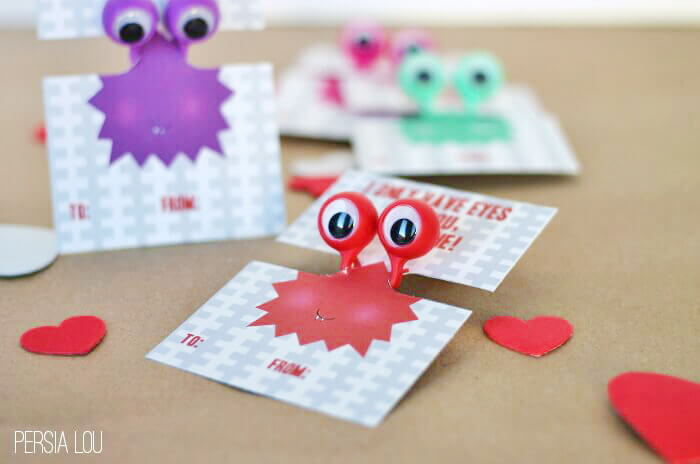 These adorable printable googly eye valentines are so easy to put together, just print, cut, and assemble! 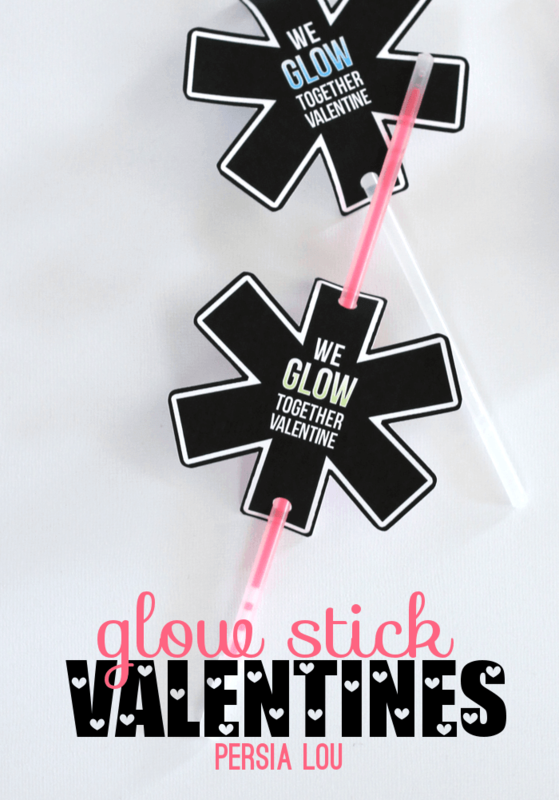 They make a perfect non-candy classroom valentine treat! This post contains affiliate links, which help to support this site. Thank you! 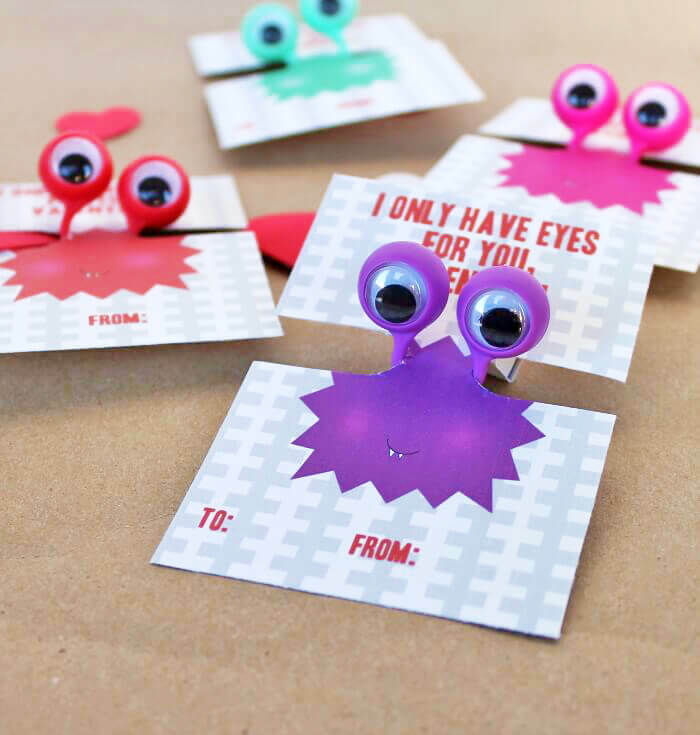 I made these printable googly eye valentines a couple weeks ago, and it has been a real struggle for me to wait to share them with you all because I love them so much! 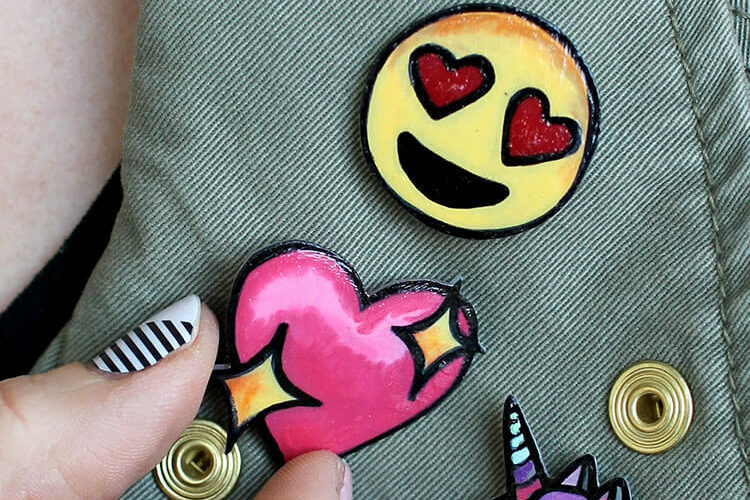 But it was worth the wait because today 10 of my bloggy buddies are sharing their best Valentine’s Day projects too (you can check them all out at the end of this post). 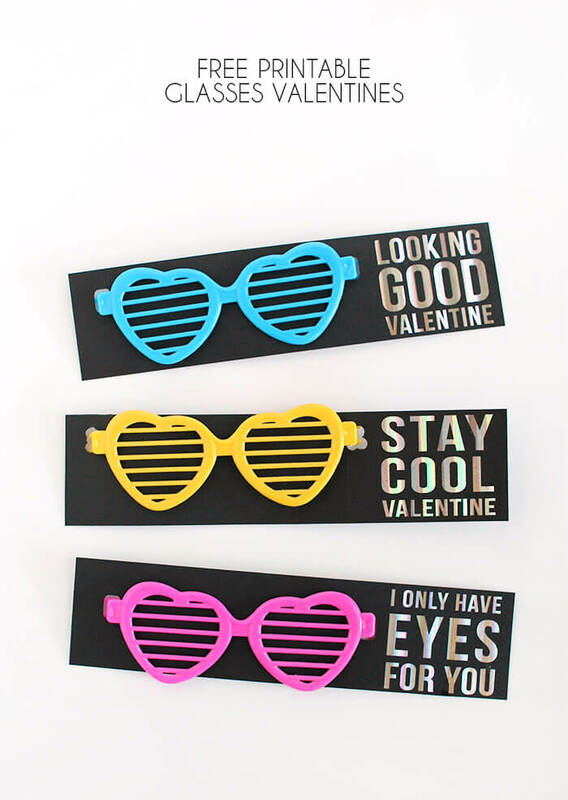 I think I’ve mentioned before that I’m a sucker for a punny Valentine, which means I have been on the lookout for cool little goodies to attach to my kids’ Valentines and to inspire my punning. 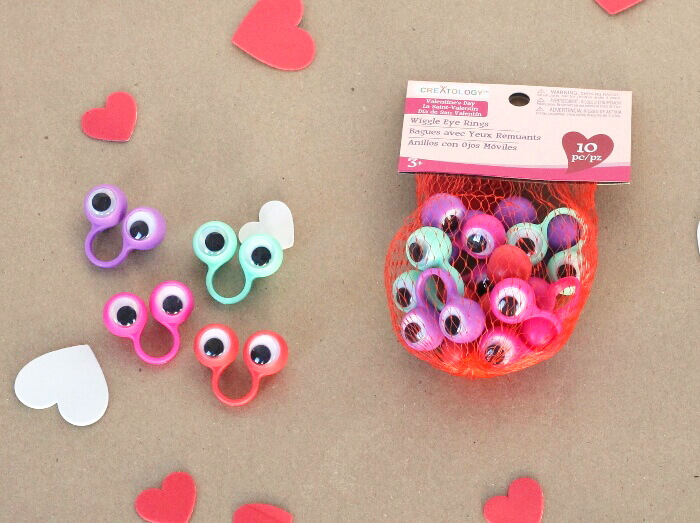 I saw these fun googly eye rings at Michaels a few weeks ago, and that I HAD to get them. Because they are basically the coolest things ever. Is there a child alive who wouldn’t want one of these rings? I don’t know any. So I had this vision in my head of the eyes being part of a monster on the valentine. So the card and the ring looked like one creature. And I was sure it wouldn’t come out the way I had it in my head, but somehow, it did. See? 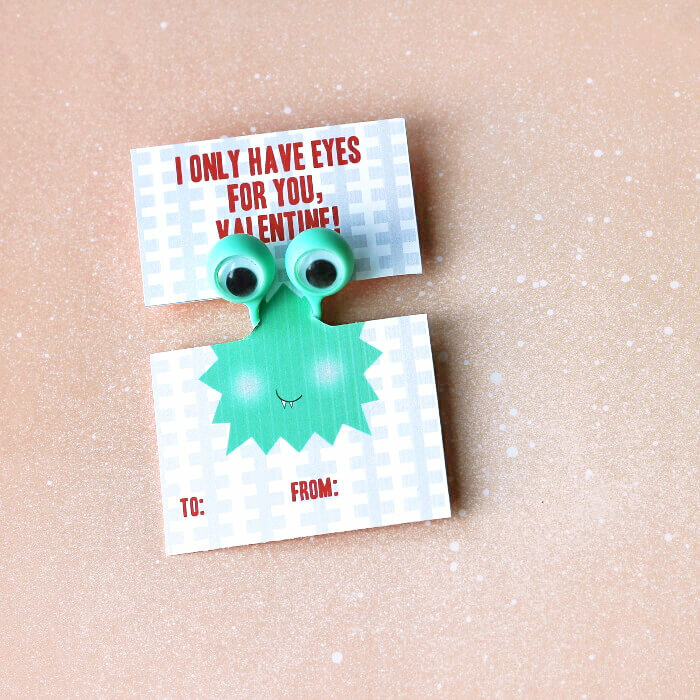 He’s just a little googly-eyed love monster. Ah! Have I mentioned I really love these valentines? Next, print off the Valentines to match your rings. I did ’em in two colors for you guys just cuz I like ya. Click the links in the supply list above to download. They actually stay on pretty well on their own, but you can definitely secure them with a little piece of tape on the back. 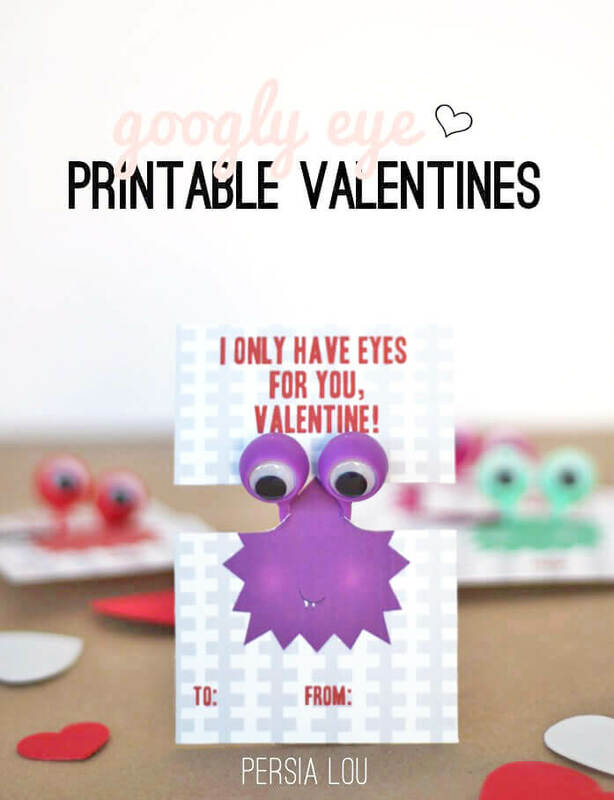 Then all you have to do is hand out your printable googly eye valentines to all your buds. Now be sure to go check out all of the other great projects my talented friends have been working on! 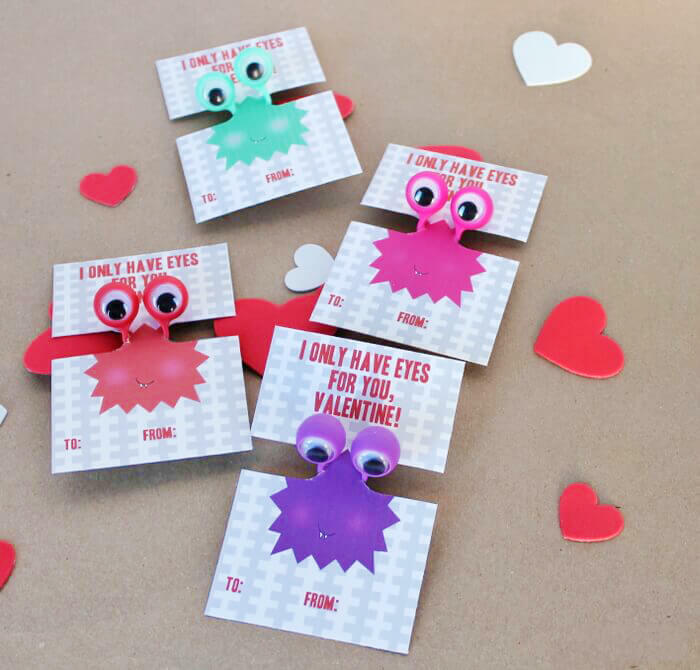 Check out more free printable classroom Valentine ideas! I love these! 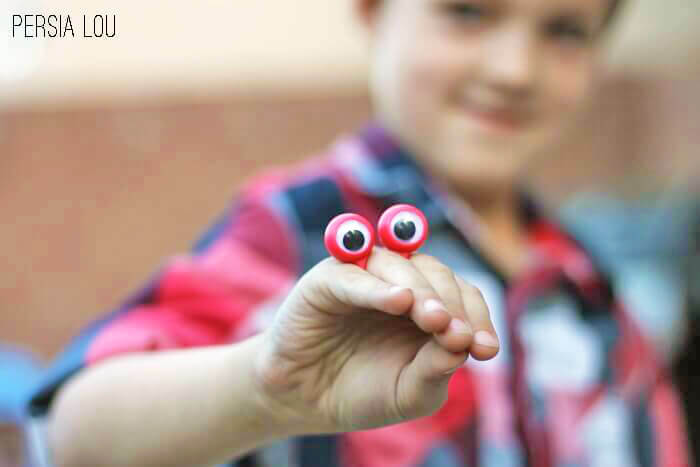 Those goggly eye ring are totally fun! 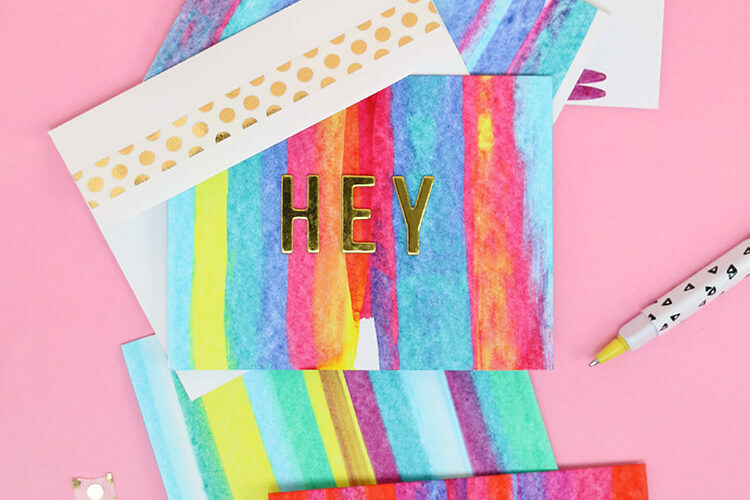 Thanks so much for the cute printable! 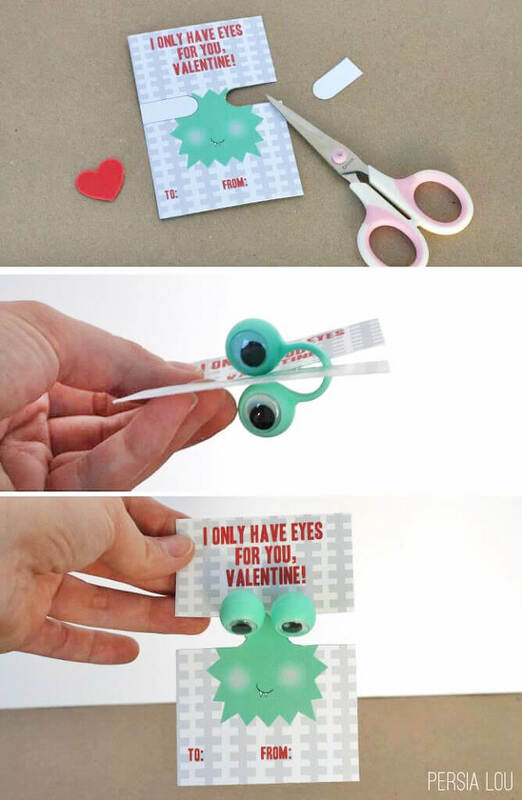 The punniest Valentine eye have seen! Too fun and creative. I love these so much!! It&#39;s going to be so hard to decide on what Valentine&#39;s to make for my daughter this year! Oh my goodness they&#39;e so cute! It&#39;s the rosy cheeks and adorable little fangs that push it over the top for me. Why give them to the kid? I want one for myself! These are ridiculously cute, love them. Now I need to go see if our Michaels has these little googly eye rings! Geeze Louise Alexis! You are so talented! These are seriously the cutest things! 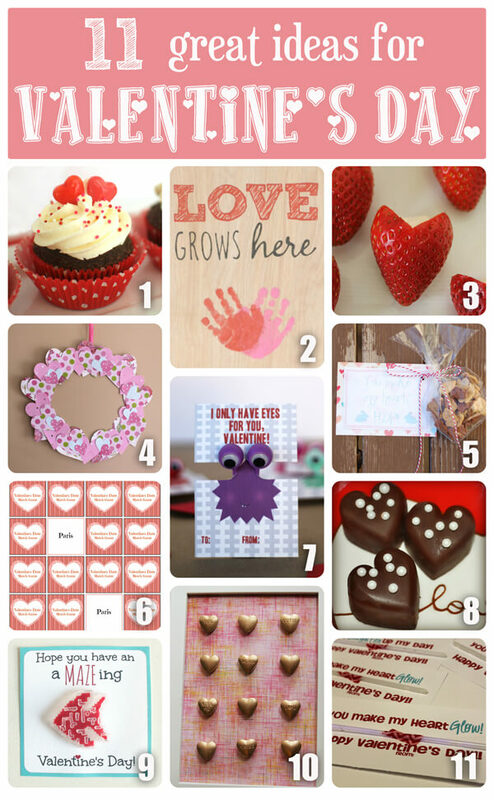 I&#39;m going to get some of those rings and then pin this for when my little mister is Valentine handing out age! Saw you featured on Play. Party. Pin. and had to stop over. I LOVE these Valentines! 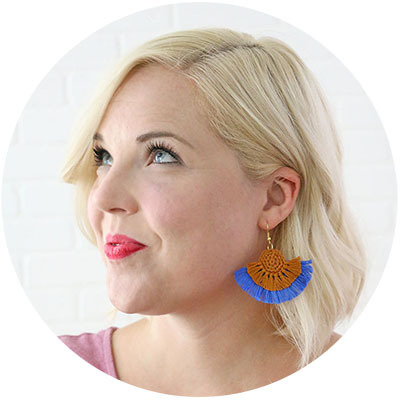 I&#39;m also you&#39;re newest Pinterest follower! Gonna have to see if I can find these rings…. 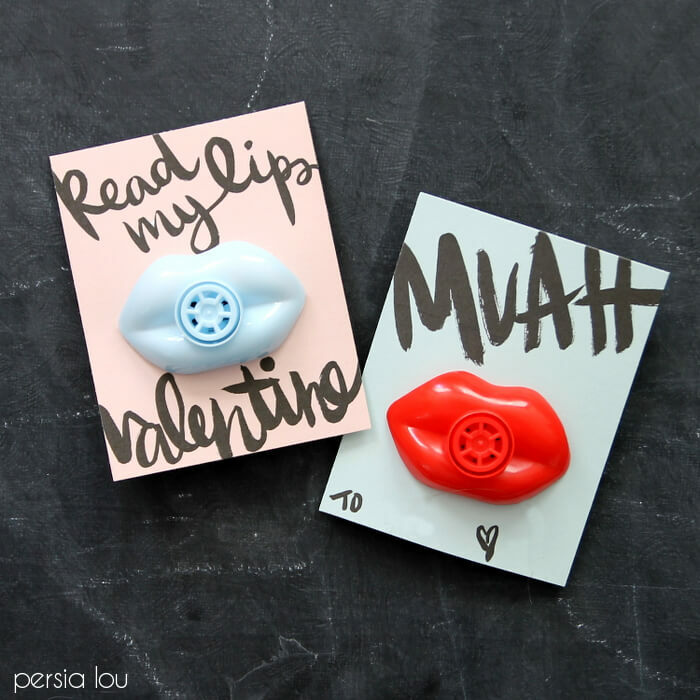 I have been trying to come up with a boy-friendly valentine idea, and have just not been in the spirit… but these are so fun! These are great! Your photos are awesome too! LOVE these! I&#39;m not seeing the &quot;download&quot; button. Perhaps it&#39;s my computer?